All opportunities have great potential but you need to prioritize. I love one is better than zero. Especially when starting out. If you make one dollar it’s better than zero, and that means it’s ok to take the smaller deals. The “big guys” typically use “no” as a powerful time scheduler, if they still said yes to everything with the one is better than zero mentality, they would not be the “big guys”. When you focus on one thing you spend your time laser focused. This is valuable and I’ve attended more than one seminar with this message. You have lots of good ideas in your head and you write them on paper, but you need to cross off everything except one (maybe two). Then I watched a TED talk and that person’s message was some of us are wired to do multiple things at one time. I tend to lean toward that groove. I just like selling things online. It makes me happy. It’s a rush. So while focusing on this blog and really cool things I’m doing here, I need to keep selling things on Etsy and my online store . 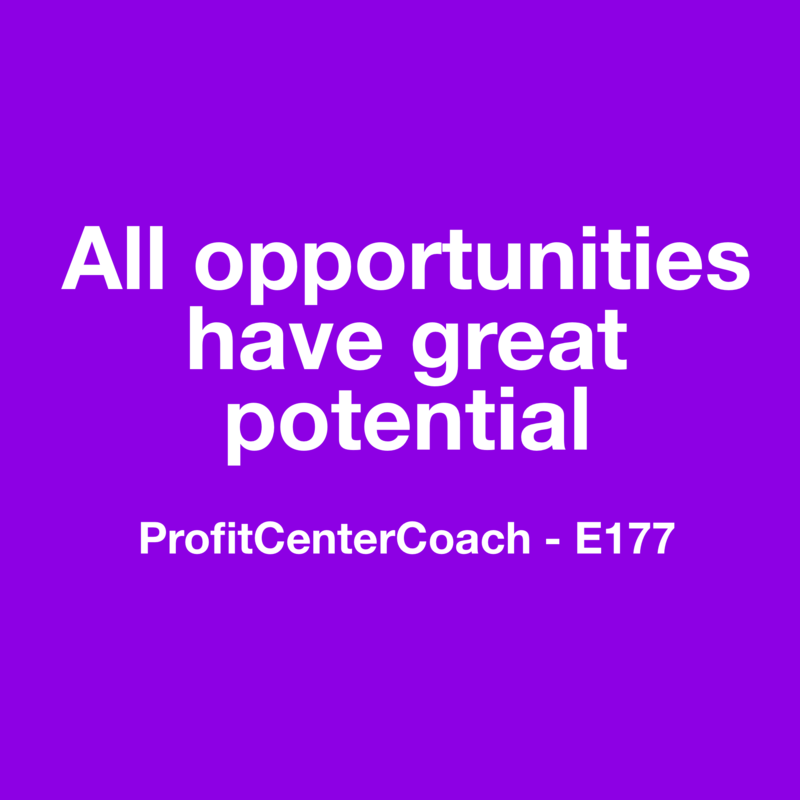 Where do you fall in the “all opportunities have great potential” spectrum? If your’e here… you need to make a decision. Just decide to start. One is better than none. If you can’t cross everything off your brainstorm paper of ideas… then circle three to start with. But don’t go with “no” as your immediate response, until you’re a “big guy” and even then, be careful. It is better to do an interview on a podcast that has a following of 75 if the 75 are all customers in your target market vs. flying across country to do a seminar for huge crowd of “maybe” clients. What is the one thing you said no to that you were happy you turned down? 2- Either cross off the ones that are not important or circle the ones that are important. 3- Focus your time on the circles or the last ideas standing!